The article discusses about the booming demands and prices of properties in both commercial and residential segments of Surat. The real estate segment of Surat has marked a steady growth in terms of capital values in the year 2012, and the similar trends are being noted a steady rise in property values throughout the year 2013. There has been the remarkable growth in the residential segment with the introduction of some of the wonderful residential projects. The residential segment witnessed the price appreciation location wise. An average hike of 10-12% was noted across Surat, with no drop in capital values. In past two three years, the property values in the residential segment have been doubled, with the increase in the rental values of the commercial property for sale in Surat by over 40%. It is the high time that buyers and investors could gain profits in just 8-10 months. The expansion of IT and corporate sector, retail industries and local industries has led to creation of a number of employment opportunities in Surat. Availability of lands and plots at affordable rates, work force, rapidly improving social infrastructure and easy connectivity are the some other aspects, which have fueled the real estate sector of Surat. The proposed Surat Navsari Industrial Area (SNIA), which is being developed along the Delhi Mumbai Industrial Corridor (DMIC), is the new corridor for growth and development in the city. Such industrial growth will certainly be a booster for the realty developments, which include construction of integrated townships, luxurious flats, shopping malls, as well as commercial buildings. Areas like Adajan, Nana Varachha, Palanpore and Green Citylight have been the most popular and transacted in the past 6-12 months, where the property witnessed a hike of 15-22% in this period. As compared to other metropolitan cities, the availability of luxurious flats at affordable prices has attracted buyers and investors. Currently, the prices of properties lie in the price range of Rs. 2,500-4,000 per sq. ft. The commercial segment is growing with the shifting of a number of companies from Ahmedabad and Mumbai to Surat because of the availability of affordable properties and improved connectivity. Surat Municipal Commission (SMC) has taken a number of measures for improving the transport link of the city and offering all the basic civic amenities even in the remote localities so that it can be named among the fastest developing tier-II cities. The reputed real estate builders have come up with the commercial projects with the appreciation of more than 50%, and such properties available even for the resale. Such initiatives have been taken to construct new roadways, flyovers, drainage systems, drinking water systems as well as power facilities. Apart from the demands from the residents, Surat has also witnessed increased property demands from the Non-Resident Indians (NRIs) and High Net Worth Individual (HNI), particularly in the luxury segment. Those properties, which have a large carpet areas of more than 2200 sq. ft. and are located at the prime locations have been successful in fetching prices of more than Rs. 1 crore and have witnessed some big number of transactions. The resale segment of Surat has also become popular among the buyers because they offer properties at competitive rates in good localities, suggest the market watchers. 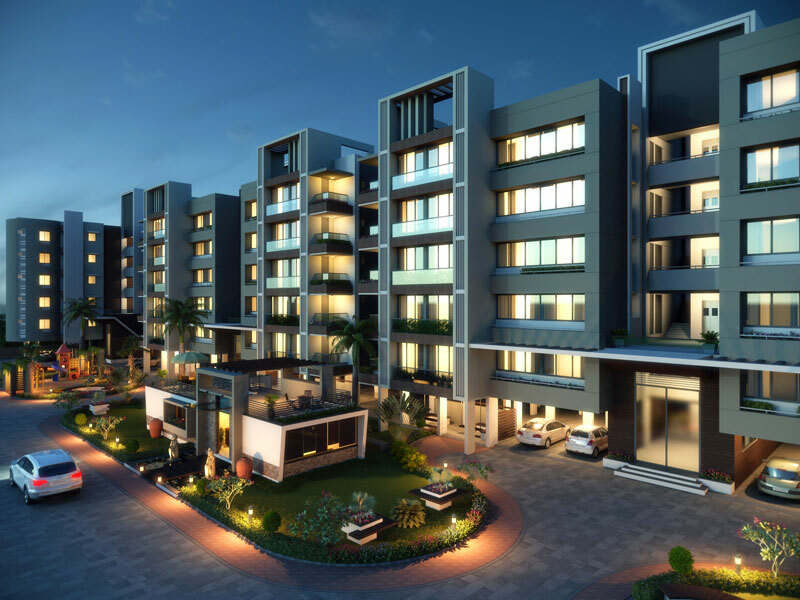 We can conclude with this remark that Surat has witnessed a big number of new and affordable projects, and thus there has been increase in the process of the properties as well. The growth of commercial segment on the other hand has also largely contributed in the property growth as anticipated. Rashmi Karan is a writer and illustrator. Her areas of interest are the area and city specific real estate scenario of the Indian cities. Her articles about the real estate offer exhaustive information on the related topics. Surat Is the most growing Cities in Gujarat and not even prices of residential and commercial projects are increases even daily uses market has also increases. Reason Behind this is technology orientation and Politics. If we think as a lay man than Modi Factor works in this and if we talk about technology than Job orientation factor works here. Now Surat becoming the new Real Estate Investment hub.Surat real estate market has witnessed tremendous growth for Property Builder by the way Nice Article. thank you for sharing this kind of useful information, sastabroker.com offers best service. Thanks for sharing this awesome content about investment. i am really thankful to you. waiting for next piece of content.